Scrap Mechanic is an in-development game on steam. So far there is only a creative mode, but survival is on the way. There are bugs, glitches, and limited materials, but no matter, this may be the best game I have ever played. That says something coming from me. It lets anyone with an idea create something from a car to a toast cannon, Yes, that is a thing. If you don’t like your creation, just add a mustache. That will make it much better. Scrap Mechanic is a simplified machine building game. There is a diverse world to explore with unique terrain, the player can build vehicles to traverse the world, or just play around. You could make wall climbers, planes, cars, hover pods, puzzles, or you can build houses, cities, or bases. The glitches often make the game more fun. Many of the glitches can help make vehicles, like a turning glitch, making it easier to steer, and a stabilization glitch. Good for planes, etc. A new “Beta World Builder” has been added, this allows you to make custom terrain. New Wheels have been added, and wedge blocks are new, now creations aren’t just blocks and circles, you can have diagonal inclines. Improved Graphics, the game now runs in 4K at 70 FPS, and the ambient effects have also been improved. The Mod Maker update has been released. It is now possible to add your own blocks, decorations, and modded creations. Scrap Mechanic has added the ability to upload your creations to the Steam Workshop, this allows you to download other peoples builds, help them fix problems, and work with other people to build your machines. Scrap Mechanic is a very unique concept, with beautiful graphics, and infinite possibilities. The gameplay never gets old, and it is very, VERY hard to run out of options. New things are added constantly, and it is very easy to get good at; it is simple to learn. And if you get bored, just invite some friends and mess around. Horizon Zero Dawn is a PlayStation exclusive game made by Guerilla Games with an amazing fighting mechanic and stunning graphics. Horizon Zero Dawn is a beautiful game set in the future where economy has collapsed and we have been reduced to making bows and swords to fight the remnants of our world. Robots. The enemy in the game are the machines that have destroyed us and created an apocalypse. Our technology is gone. We have been turned into tribes of the past. There is one DLC for HZD, The Winter Expansion. Adding a large portion of the world higher north (Colder), More robots, more missions, and more story. The physics, graphics, and overall gameplay has also been improved in this DLC. It is unclear whether or not another DLC will be released soon. HZD Has an extensive community of fans, leading to many walkthroughs and reviews. If you get stuck, just watch someone’s walkthrough and figure it out. There are many secrets hidden in HZD, most of them are story related, but some of them are secret missions. These are often very different from the others, and are always very hard. 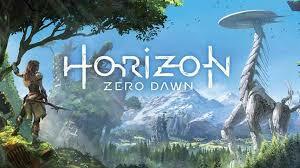 In my opinion, Horizon Zero Dawn is one of the best games of all time. It has some the best graphics I have ever seen, an intriguing and unique story, and amazing gameplay. To me, it is on of the only games that I could play for hours.